This fraternity was founded on 19 October 1850 at the University of Pennsylvania. It was the first national fraternal organization to be founded at Penn. 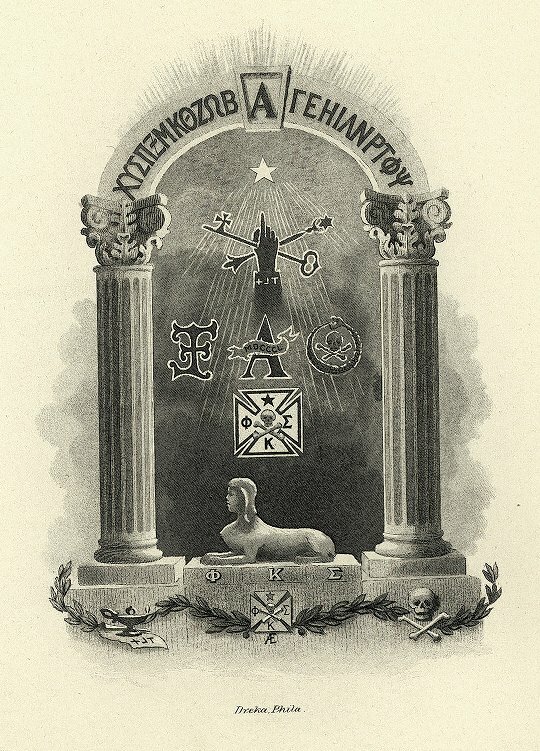 Penn’s Alpha chapter seems to have enjoyed a continuous existence until 1994, though The Record of 1872 described the fraternity as “reviving” and noted that it had been “under a blight.” The Alpha chapter had twelve members when Penn opened College Hall in the fall of 1872. In June 1994 Penn’s Alpha chapter lost its charter in a dispute with its national organization and the house at 3539 Locust Walk was rented to a sorority, Delta Delta Delta. In February 1997 the Alpha chapter was re-established and in September 1998 its members moved back into the house on Locust Walk. The fraternity remains active in 2003. Penn’s founding chapter was followed by the establishment of chapters at Princeton (1853), Lafayette (1853), Washington and Jefferson (1854), Dickinson (1854), Franklin and Marshall (1854) and the University of Virginia (1854). There were fifteen chapters by the time of the Civil War and forty chapters at the outbreak of World War II. 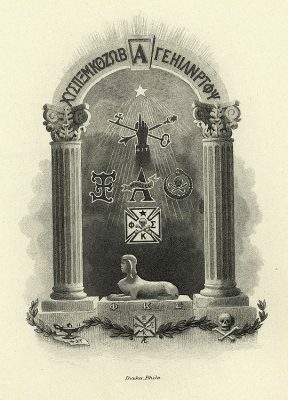 Maxwell’s Greek Letter Men of Philadelphia states that seven Penn undergraduates organized Phi Kappa Sigma. They were Alfred Victor Du Pont (A.B. 1851), J. Bayard Hodge (Class of 1852), Charles Hare Hutchinson (A.B. 1852), Samuel Brown Wylie Mitchell (A.B. 1852), Andrew Adams Ripka (Class of 1852), John Thorne Stone (Class of 1853), and Duane Williams (Class of 1854). Among its many distinctions, Phi Kappa Sigma claims the honor of being the first international fraternity founded at Penn. It also states that it is the first and only fraternity to have a college named after it. 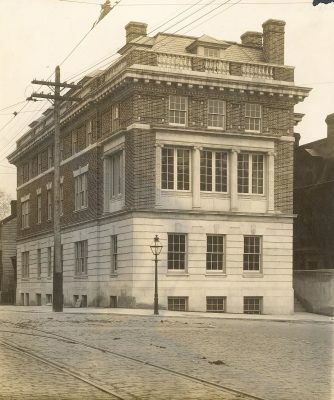 Robert James Pilgram, in his General Register of the Members of the Phi Kappa Sigma Fraternity, 1850 – 1930 (1930), stated that the Alpha chapter rented rooms at 13th and Walnut Streets until 1896, when it purchased a small house at 3537 Locust Street. In 1905 two small properties which separated Phi Kappa Sigma from the east side of 36th Street became available for purchase. The Alpha chapter decided to acquire this additional land, demolish the existing structures, and design a purpose-built club house. Professors David B. Brownlee and George E. Thomas, in First University, have noted that between 1909 and 1911 two architect members of Phi Kappa Sigma – Elliston Perot Bissell and John P.B. 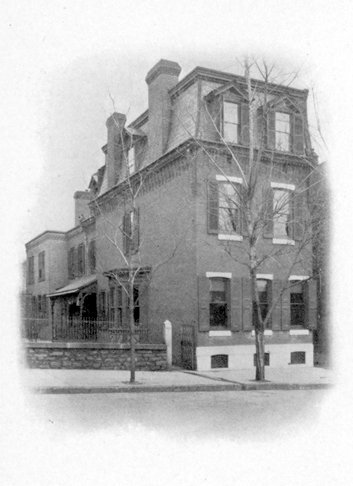 Sinkler – designed and directed construction of the Alpha chapter’s house at 3539 Locust Street, which was then the northeast corner of 36th and Locust Streets. Pilgram added that Phi Kappa Sigma dedicated the new building with appropriate ceremonies in May 1911.